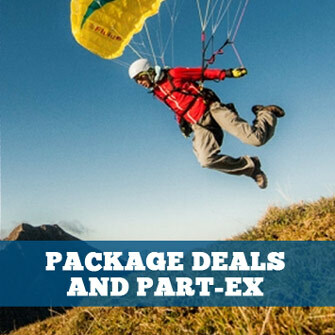 Extremely comfortable all-in-one reversible paragliding harness-rucksack equipped with tried-and-tested removable air-foam hybrid protector, providing full protection from the very start of takeoff, and integrated under-seat reserve container. The Verso is a reversible airbag harness with carbon seat plate and underseat rescue container. The Verso offers comfort, safety and convenience in a compact, lightweight package. The Verso is well-suited to leisure pilots, hike 'n fly pilots and travellers, yet is comfortable enough to be used on long cross-country flights. Special offer: Add Gin Verso 2 and Gin Verso 2 Quick Release Footstrap to your shopping basket for a special package price! A harness designed for you - wherever you want to go. No matter how high you fly or how far you go, with the Konvers 2 comfort and manoeuvrability are guaranteed at all times. ROAMER 2, The new Roamer 2 is the most versatile Niviuk harness. This improved reversible harness and rucksack is always ready for action. 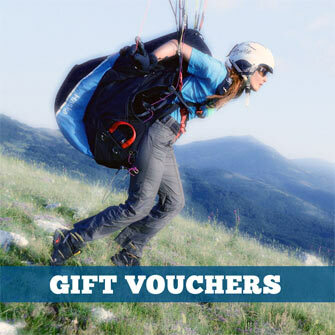 Your ideal companion for mountain flying, speed flying or speed riding. Comfort while flying, and also while hiking. At just 1.3kg, the Oxygen1 is light for a harness and bag combination, but features easy click buckles, generously padded leg and back support, and a comfortably sized storage compartment. The OZO is a reversible harness / backpack made from ultra-lightweight materials. It is designed specifically for use with Ozone’s range of modern lightweight wings, but can be used with any paraglider. Comfortable reversible harness with integrated under-seat reserve container. Ultralight, multi-purpose, adjustable harness with optional airbag/rucksack module. The Woody Valley Transalp Reversible is a light harness-rucksack with a very compact volume. Ideal for all pilots who would like to combine flying with trekking or rock climbing. It is also very comfortable for long flights complete with central stability adjustment. The most complete harness for Hike & Fly at just 2.6 kg.